When you become a homeowner, there is an abundant amount of things that you need to be made aware of. It’s not like renting an apartment, where holes in the wall and problems with your appliances are just a phone call away from repair. If you have a problem with your home, it’s your problem and your expertise may just play a role in how bad the problem gets. Admittedly, not everything in your home is created equal. It would be information overload to attempt to learn every single thing about your house, its construction, and all its appliances in one go. Some systems are more important than others, and your HVAC system is one of those systems. HVAC stands for “heating, ventilation, and air conditioning,” and is basically your house’s air flow system, and the more you know about it, the better things will be for you — your personal comfort, stress levels, and finances will all feel a little bit better when your heating and air system is functional and problem-free. At Powerhouse, we’ve devoted our lives to learning all of the ins and outs of heating and air systems. 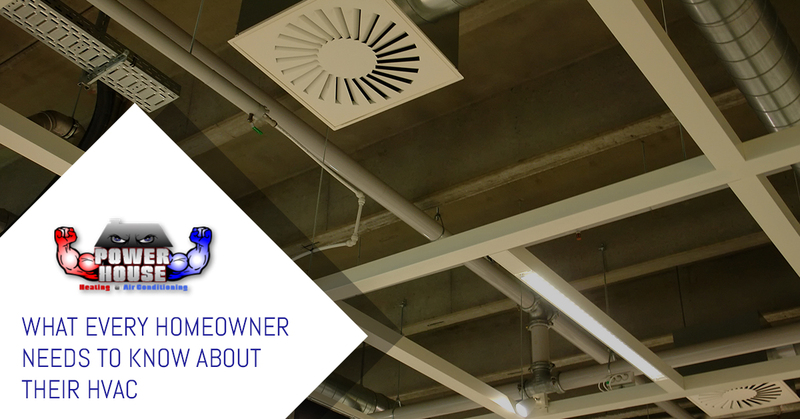 Through the extensive experience we’ve gained serving the people of the greater Omaha area, we feel it’s important that every homeowner knows the following things about their HVAC systems. It would be an understatement to say that your HVAC (heating, ventilation, and air conditioning) is an important part of your home. It’s big, it’s expensive, it’s complicated, and you rely on it day after day for your basic comfort, even if you don’t realize it. Truth be told, your HVAC is the gift that keeps on giving, but you won’t realize that until it’s stopped working and you realize how much worse off you are without it. Did you know that, on average, 50 percent or more of the average homeowner’s energy bill goes to heating and air? Your HVAC system, whether you’re aware of it or not, does massive favors for you, and it deserves your respect and care. When your house isn’t at a favorable temperature, it can significantly affect your quality of life. It is exceedingly hard for many people to sleep in hot temperatures, and a house that’s constantly freezing is an uncomfortable space that can rob you of your motivation to use your time productively. Finally, one of the biggest reasons why your HVAC is important is that it’s a money drain when poorly maintained. If your heating and air system doesn’t get any love for years at a time, prepare for an exciting routine of breakdowns and maintenance repairs in the future, all things that can reasonably be avoided when you call your local HVAC companies for regular checkups. Just about everything in this world, living or inanimate, needs regular checkups to function at optimal performance. Whether it’s your yearly physical, your cat’s routine vet checkups, or your car’s scheduled oil changes, everything needs a little bit of care to stay healthy and prevent future disasters. Why, then, would it not be the same with your HVAC system? There are myriad things that can go wrong with an ill-maintained system. Unchanged air filters can build up particles and debris, facilitating the flow of allergens through your home and making your HVAC less efficient, which costs you more money. Internal parts can break or warp after years of constant use, leading to more dire failures in the future if left unchecked. 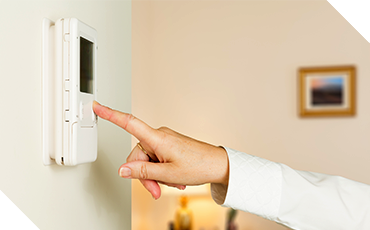 When it comes down to it, your heating and air system is a complicated piece of engineering, and usually, the more complex a device is, the more upkeep it requires. That’s why it’s a good idea to call your local Omaha HVAC companies and schedule consistent checkups. Even if there’s nothing wrong with your system, the professionals can service your machine so that it’s running optimally, preventing you from spending more money than you should, and decreasing the likelihood of future breakdowns. If there is a problem with your machines, HVAC contractors will often catch it before it gets bad enough to cause major damage. Do yourself a favor and call your local HVAC companies today! 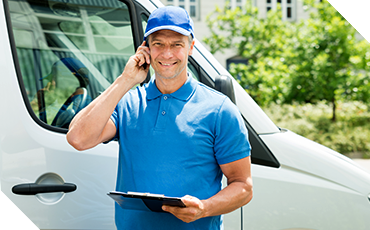 If you’re in the Omaha area, Powerhouse Heating and Air Conditioning will be happy to provide you with high-quality service. While we do advocate the assistance of professional HVAC companies when you service your machine, the reality is that they can’t be there all the time. That’s why it’s important to understand the red flags that your HVAC gives off when there might be a problem with your heating and air system. It’s not like your HVAC displays a message that says “there is something wrong,” but there are ways to tell when something might be amiss. Understanding the warning signs of a faulty HVAC system is something that we try to educate our clients on whenever we can because when you’re able to diagnose a problem early on, it could potentially save you a lot of money in maintenance repairs in the long run. If you’re hearing strange noises, experiencing fluctuations in temperature, taking in weird smells, or not feeling any air flow at all, these are all signs that your HVAC might have a boo-boo. Take a look at some of our other blog posts to read more about telltale signs of a failing heater and air system. Knowing how important your HVAC system is to your home, we hope that everyone will take the time to learn a little bit about their system — how to diagnose major problems, how fundamental it is for your personal comfort, and how it benefits from regular checkups from certified professionals. Whether you have a need for major repairs in your heating or air system, or you just want to start with those routine appointments, our team at Powerhouse Heating and Air Conditioning is happy to serve anybody in the Omaha area who has need for our services. We are committed to providing out-of-this-world customer service and we will help to educate you on how you can maintain a healthy HVAC system at home so you don’t have to burden yourself with constant repairs. To get started with Powerhouse Heating and Air Conditioning, contact us today for a free estimate!